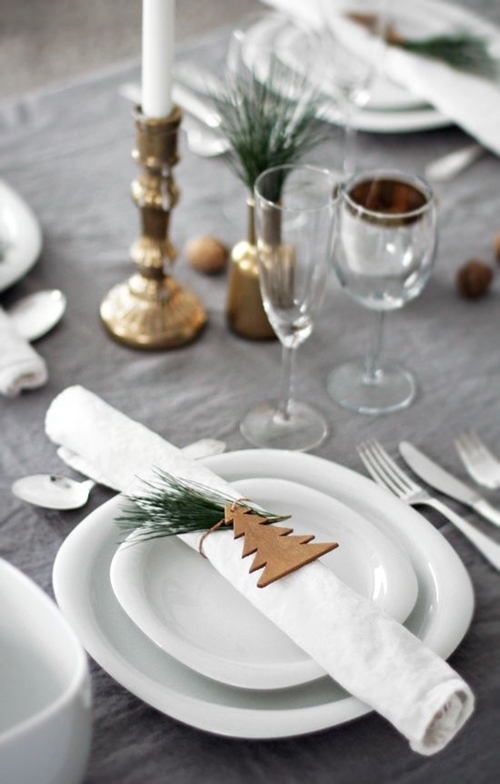 Have you thought about dressing your table this Christmas but not sure where to start, I thought I would share a few of my own ideas and more inspiration from around the web. 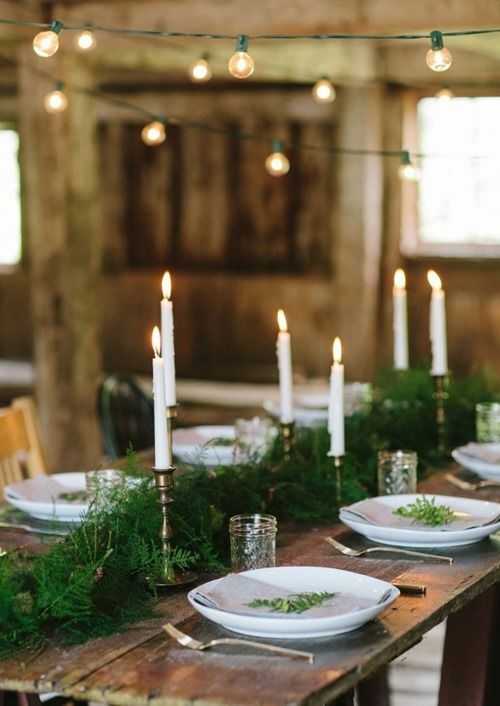 I was recently introduced to BloomNation, a flower delivery service which inspired me to share some Christmas tablescapes with you. BloomNation promote local florists throughout the USA through their on line marketplace and in the future they plan to ship internationally. 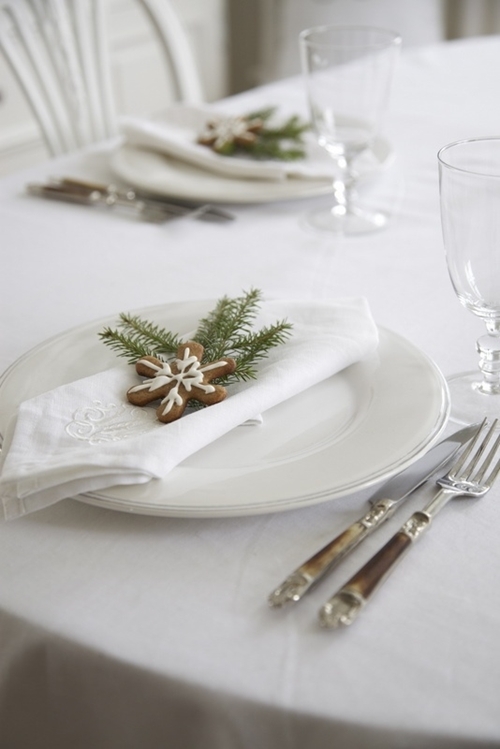 If you don't have time to think about how to decorate your Christmas table, flowers or foliage are a quick and easy solution to make your table look beautiful. 3. Make a little gift for your guests to take home, I made these wee candle holders, you can find simple instructions....here. 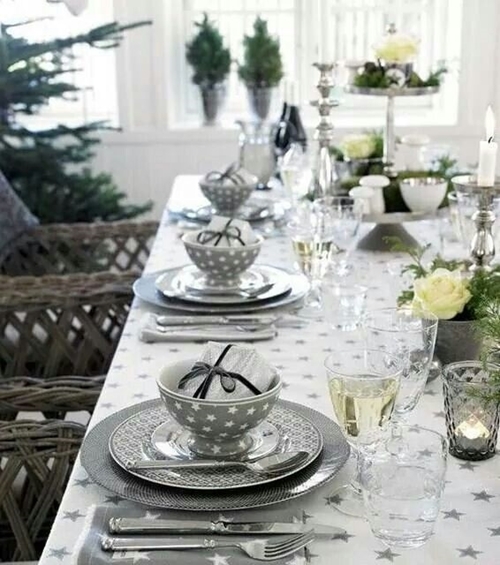 Follow Lee Caroline - A World of Inspiration's board tablescapes on Pinterest. 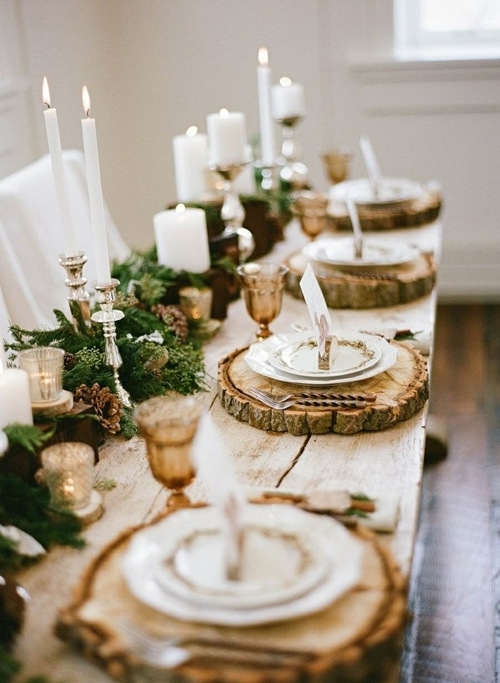 Love your magnolia setting pieces - SO Christmasy but with a really elegant feel to them. Might have to think about doing something for us this Christmas - something plant based would be nice.